Genetics has come a long way in the last 60 years, from the discovery of DNA in 1959 by Watson and Crick to detailed studies of the sequence of genes that make every one of us unique. With this new tool, scientists have been able to study the origins of indigenous populations around the world and have discovered some surprising new insights into the migration of man around the planet. Gene distribution strongly suggests that ocean currents have played a very significant part in the early migrations of man with gene pools matching up at either end of these ‘rivers of the ocean'. One particular example is that 10,000year old African genes have been found amongst people of the Lower Amazon, suggesting that Africans used the southern Equatorial current to cross the Atlantic. Another example is 6,000 year old Taiwanese genes are found at the opposite end of the Kuroshio current in Canada and along the West coast of America. On the 28th of April, 2006, Olav Heyerdahl, the grandson of famous explorer Thor Heyerdahl, left Callao in Peru, in the wake of his grandfather's famous Kon Tiki expedition, which began on the 28th April 1947 to prove to the world that long distance oceanic voyaging without any sophisticated equipment was possible. Thor believed that man utilized favorable ocean currents and prevailing winds many times in the past, either for trade purposes or when unfavorable events such as war or natural catastrophes forced people to leave their homeland. This was contrary to the mainstream belief that all significant migrations of man around the planet occurred only by land, especially to America. Thor showed that slow moving sailing rafts would foster marine growth, creating their own ecosystem. Fish would shelter in the shadows of the hull and attract bigger fish, while birds would stop to rest in the rigging and would often find tasty morsels hiding amongst the weed growth along the waterline. This wide range of wildlife provided the hunter with a veritable larder of food during a relaxing sail down wind and down current. As will be seen in this article, genetics is now proving that ocean currents or ‘rivers of the ocean' did play a very significant role in the distribution of man around the planet, thereby proving that many of Thor Heyerdahl's theories were actually correct. Thor first became interested in Pacific prehistory whilst on an entomology expedition/honeymoon on Fatu Hiva in the Marquesas where he wrote his first book ‘Back to Nature'. 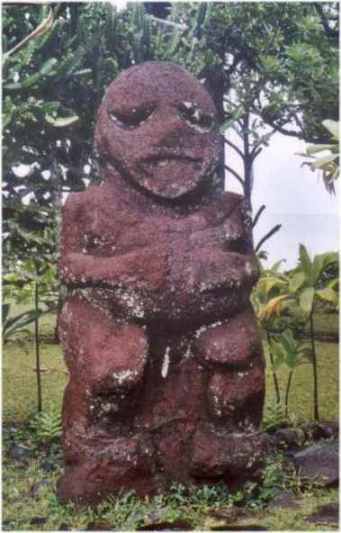 Large Marquesan stone statues captured his imagination, and so did stories told by Chief Tei-Tetua of their ancestors coming from a hot dry land in the East, led by Con Tiki. He was later to find in Peru, confirmation of the legend of Con Tiki Viracocha, a Peruvian mariner who voyaged into the Pacific. As these legends conflicted with commonly held scientific notions that Polynesians, island hopped from S.E. Asia. Thor realized something was amiss and began a quest for the truth about origins of the Polynesians, which lasted a lifetime. In his 1952 book ‘American Indians in the Pacific', he came to the conclusion that Polynesians not only entered the Pacific from Peru, but also sailed via favorable currents and wind from Canada to Hawaii. The pathway from Peru particularly interested Thor, because of evidence from preserved mummies, paintings and legends, it appeared that these people were red haired Native American Caucasians - a relic population of a forgotten past. Most other scientists would have no part in the notion that the Pacific was populated from America or that Caucasians were once a significant population of America. Instead, they came to the dubious conclusion that ancient pottery pieces, called Lapita held the key to Polynesian origins, as a trail of this unusual pottery seemed to lead towards Polynesia, albeit stopping a little short. Disappointingly, for these scientists, Lapita ended 800 years before Polynesians even entered the Pacific, making a relationship between the two highly unlikely. 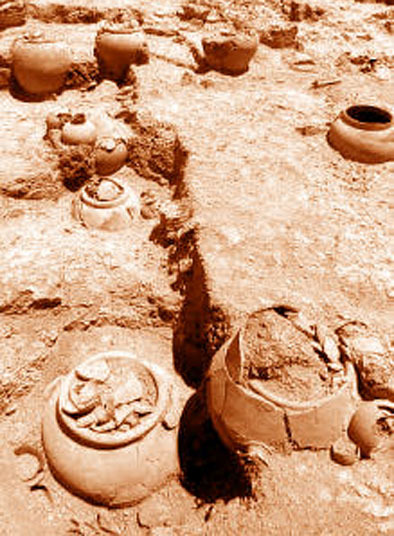 Most Lapita pottery sites were found in Melanesia amongst Melanesian artifacts. During the later stages of the Lapita culture, pottery was often mixed with a more recent style of Melanesian pottery called Mangassi, showing no sign of any major change in culture. This evidence observed by archaeologist Matthew Spriggs, showed a close affinity between Melanesian and Lapita culture. Plainware pottery in Western Polynesia was associated with Melanesian artifacts and Eastern and Central Polynesian archaeological sites showed no sign whatsoever of actually using pottery in their entire history, making it rather illogical to connect Polynesia to a Melanesian pottery making culture. 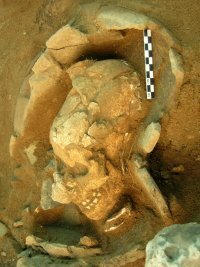 Then in August of 2005 archaeologist Matthew Spriggs and his team uncovered Lapita burial urns in Vanuatu more akin to Harappa and Tamil Nadu burial urns from India, throwing the origin of Polynesians investigation into state of total confusion. Lapita pottery suddenly appeared in the Bismark Archepelago, 3,900 years ago, amongst a group of islands that have been continually occupied by Melanesians for at least 6,000 years. Archaeological evidence shows assimilation of the Lapita people into the Melanesian obsidian culture and does not show any evidence of displacement of Melanesians from their islands. Therefore the only hope for scientists wanting to believe Lapita pottery was the calling card of early Polynesians was for genetics to prove that Polynesians were closely related to Melanesians - despite their major physiological and cultural differences. Unfortunately, for these poor misguided souls, no genetic evidence has been forthcoming. Manfred Kaiser and colleagues found the male Y chromosome (DYS390.3 deletion on the RPS4Y711T chromosome background) shared by Polynesians and Melanesians, showed a divergence of genes 11,500 years ago, confirming a completely separate evolution of Polynesians and Melanesians since this time. This very early date of separation coincides with the time when rising sea level at the end of the last Ice Age was flooding extensive coastal plains in S.E. Asia. Geneticist Bing Su confirmed a separate evolution since this time of separation. He found the major Melanesian Y-chromosome (haplotype H17, characterized by mutations at M4, M5 and M9) was not found in Polynesia." S.W. Serjeantson also confirmed a separate evolution. She found that; the Human lymphocyte Antigens (HLA B13, B18 and B27) are common amongst Melanesians but are totally absent from Polynesians. A11 and B40 are significantly associated with each other in Melanesia, whereas in Polynesian Populations, A11 is associated with Bw48”. A11 is a Caucasian gene and appears to have been brought into the Pacific on two separate occasions. Interestingly the only other place in the world where HLA A11 is also found associated with B40 is in the Indus region, once the home of the Harappa civilization. In conclusion, from the archaeological evidence, it appears that Lapita is closely tied to Melanesian sites and genetic evidence establishes a separate evolution of Melanesians and Polynesians. Therefore by simple logic, Polynesians and Lapita are unrelated. In search of Polynesian origins, Bing Su studied the female mitochondrial DNA (mtDNA 9 bp deletion and associated Polynesian sequence motifs) and established a Taiwanese origin for female Polynesian DNA. Reduced genetic diversity in Polynesians confirmed that Polynesians left Asia 6,000 years ago. He also ascertained that Polynesians underwent a rapid population expansion, from a small founder population about 2,200 years ago and they believe that is when Eastern Polynesians (Hawaiians, Tahitians and Maoris) entered the central Pacific. 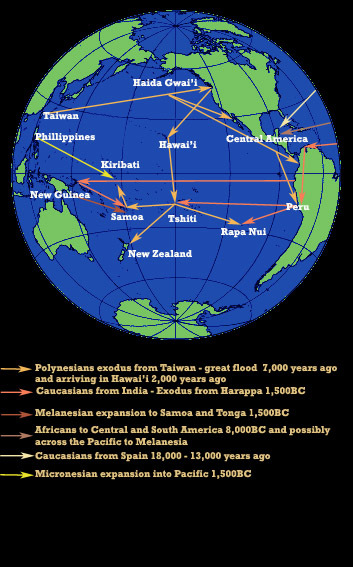 This leaves us with the mystery of the location of a Polynesian homeland between leaving Taiwan and arriving in the Pacific, a period of 3,800 years. As previously mentioned genetic evidence makes it impossible for Polynesians to have lived amongst Taiwanese, Melanesians, Indonesians or Micronesians for this period, it was necessary to look elsewhere. Susan Serjeantson, a geneticist, found the answer. 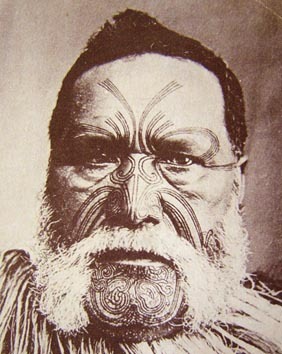 She noticed that the New Zealand Maori were genetically very closely related to the Tlingit of Alaska. She observed the rare antigen HLA Bw48 amongst the Tlingit, Haida, and Kwakuitl. These three tribes live on the three main islands off Alaska and Canada. The Tlingit are from Prince of Wales Island, the Haida from Queen Charlotte Island and the Kwakuitl from Vancouver Island. HLA Bw48 was also known to be a key marker, unique to Polynesians. Susan also noticed that in Polynesia, Bw48 was always associated with A11, a Caucasian gene, but was absent in Canada, indicating that this change occurred after Polynesians left this area, and not the reverse. Changes in the HLA system such as this are crucial for establishing the direction of colonization. Legends, common cultural traits and numerous artifact similarities confirm a connection between the Tlingit, Haida and Hawaiians. The following Tlingit legend confirms that the female mitochondrial DNA found in Polynesian and Tlingit genes, came from across the Western Ocean (North Pacific). The possibility that the 7km/hr Kuroshio Current, a virtual ‘river of the Ocean', which flows from Taiwan to Alaska, played a part in this migration is extremely likely. There is an old story that says how some strange people came from the Western Ocean. Among them were two sisters. They landed on Dall Island in Southeastern Alaska. There the sisters met and married men whose people were coming down the rivers from interior North America. One sister-went with her family to Haida-gwaii or the Queen Charlotte Islands. Her children grew and multiplied into the Haida Nation. The other sister went with her family to Prince of Wales Island. 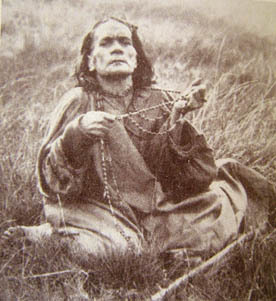 She became the ancestress or Mother of the Tlingit Nation. From ‘The Proud Chilkat', by Brendan and Lauri Larson. Further clarifying the significance of Taiwan, Katsushi Tokunaga noticed that Native Taiwanese populations carry the purest form of Asian specific Human Lymphocyte Antigens (A24-Cw8-B48, A24-Cw9-B61 and A24-Cw10-B60) . His studies showed that the Taiwan area was the centre of dispersal for the; Tibetans, Thais, Tlingit, Kwakuitl, Haida, Hawaiian, Maori, Pima, Maya, Yakut, Inuit, Buryat, Man, Japanese from Shizuoka and Orochon from North East China. This major dispersal event, which happened about 6,000 years ago, suggests a major catastrophic event, such as flooding of the coastline, which caused an exodus of people, from which many new civilizations were born. Mysterious megalithic monuments on Taiwan and numerous underwater ruins north of Taiwan such as near Yonaguni confirm that a significantly organized society once existed in this area as much as 10,000 years ago and was destroyed by rapidly rising sea levels. Interestingly, a flood is mentioned in the following Hawaiian legend, where it mentions a great flood on a continent, which resulted in a drift voyage, and their arrival in Alaska. 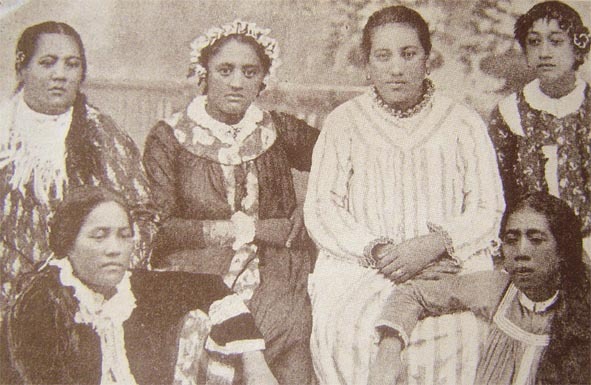 The ancestors of the Hawaiian race came not from the islands the South Pacific – for the immigrants from that direction were late arrivals there. – but from the northern direction (welau lani), that is, from the land of Kalonakikeke, now known as Alaska. The very first man and woman who came from Kalonakikeke to the continent of Ka-Houpo-o-Kane, they were Kalonakikeke ("Mr Alaska") and his wife Hoomoe-a-pule ("Woman of my dreams"). They were said to both be high chiefs of Kanaka-Hikina (people of the east) and Kanaka-Komohana (people of the west) and were descended from the great great ancestor Huka-ohialaka. They arrived at Ka Houpo-o-Kane before it was disrupted by a great flood that occurred during the reign of Kahiko-Luamea. This great flood carried away a floating log of wood named Konikonihia. On this log was a precious human cargo and it came to rest on the land of Kalonakikeke (Alaska). 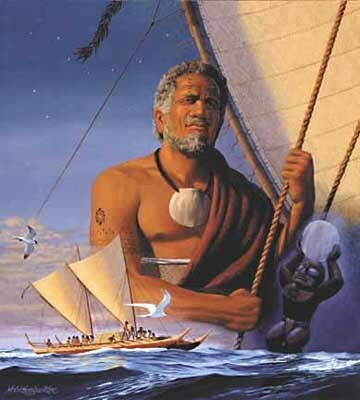 ‘Many generations later, Nuu, travelled from Alaska with his wife, Lilinoe, their three sons and their three wives in a canoe called Ka-Waa-Halau-Alii-O-Ka-Moku (the royal canoe of the continent), and it rested apon Mauna Kea (white mountain), on the island of Hawaii. They were the first Hawaiians. From ‘The Ancient Hawaiian History of Hookumu Ka Lani & Hookumu Ka Honua', by Solomon L.K. 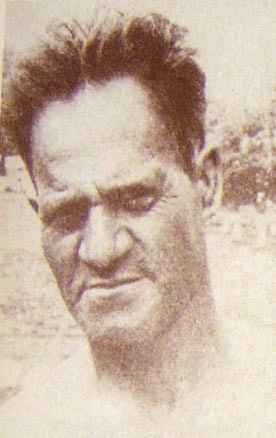 Peleioholani. Mauna Kea - the first thing one sees when approaching the big Island of Hawaii from Canada. 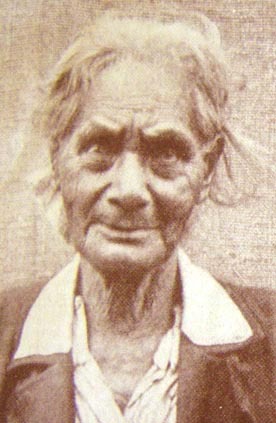 In the Kumuhonua Genealogy (a royal genealogy) of Kauai and Oahu, Chief Nuu is mentioned, including his wife Lilinoe. Nuu would have been born between 225 and 75 B.C. 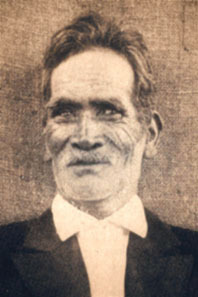 Solomon Peleioholani was a descendant of Chief Nuu through the Kings of Kauai. The Arrival of Chief Nuu between 2225 and 2075 years ago. This agrees fairly well with the genetic information that Polynesians underwent a rapid population expansion, from a small founder population about 2,200 years ago - when Eastern Polynesians (pure blood Polynesians) entered the Pacific. The design of the Tiki and its spiritual significance. The traditional name for the Haida homeland of Queen Charlotte Island is Haida'gwai'i, very similar linguistically to Ha'wai'i. An ancient Hawaiian chant describes the hardship, hunger and cold encountered on their voyage to Alaska when crossing the Arctic Ocean, once again verifying that their migration into the Pacific was not a direct one. Island hopping through the tropics was definitely not on their itinerary. 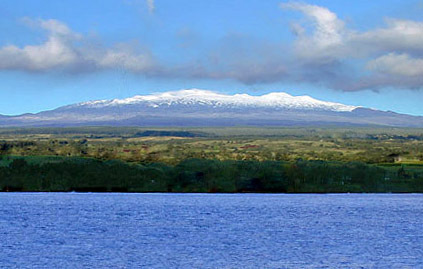 If we look at the latter part of the legend, and their arrival in Hawaii on Mauna Kea, we find this mountain is on the Northern side of the volcanically active island of Hawaii, a very logical location to make landfall – when arriving from the north - at the base of a mountain they may have spotted from over 100km away. A Hawaiian song of their arrival depicts their passage as an easy one, with the wind. The North East trade winds blow from Canada to Hawaii in summer and ocean currents also flow in this direction, often bringing Oregon logs to the beaches of Hawaii. There are no beneficial currents or winds when trying to approach Hawaii from Tahiti or from Micronesia, making discovery from this direction much less likely. 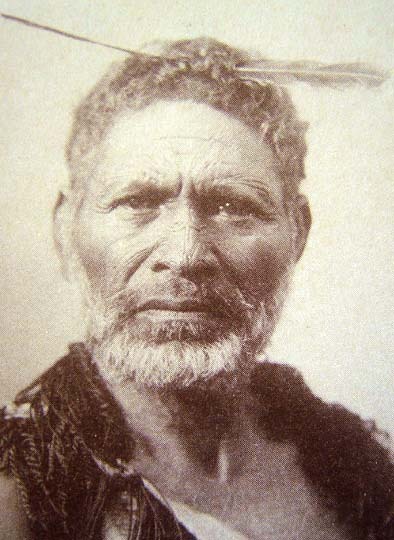 Hawaiian genealogies place Chief Nuu as a founding ancestor who lived about 2,200 years ago, which agrees with the date that geneticists determined as the time of arrival of Polynesians in the Pacific. Is this mere coincidence? I think not. Terry L. Hunt and Robert M. Holsen found when carbon dating sites in Hawaii, dates were much older than expected. One site was from the first millennium BC, making the possibility that Southern Polynesia was colonised from Hawaii extremely likely. At the time of discovery, Hawaii possessed one of the most developed kingdoms of all Polynesian societies, with family genealogies and a profusion of legends that indicated it was not merely a ‘recently' established outlier colony of Polynesia, but was in fact the cradle of Polynesian society. 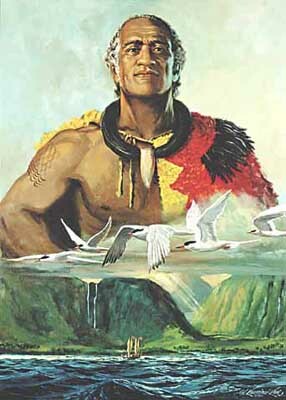 This can be confirmed by the fact that almost all Polynesians assert that their motherland was Hawai'i. This agrees with genetics and the Chief Nuu history, yet anthropologists continue to argue that Hawaii is too distant a group of islands to have been the cradle of Polynesian society. It turns out that Tahiti, not Hawaii is the ‘distant land' as that is what the name ‘Tahiti' means. 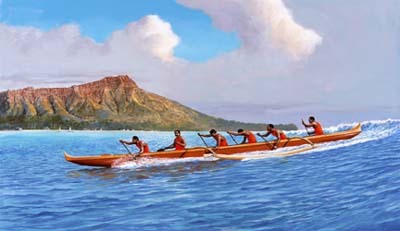 The legend of Hokulea, describes the discovery of Tahiti from Hawaii, and this was the direction the re-enactment voyage took place, much to the disgust of the anthropologists at the time. This legend also mentions the Tuamotu Archipelago being discovered on their return voyage when, because of the difficulty in reaching Hawaii from the South, they had to sail further East before heading north, to minimize the risk of headwinds. The name Tuamotu means: ‘back and off to the side islands', a logical name for a group of islands back and off to the side of their initial route to the newly discovered ‘distant land'. The names are meaningless if the route of discovery was in the reverse direction. It seems that Anthropologists were initially put off the track in accepting that the Islands off Canada and Alaska was the original homeland of Polynesians, because the Austronesian language was not spoken there. Most groups in this area speak the Na Dene language, including the Nuu-tka. The Na Dene Language is a very ancient language and can be found throughout North America, spoken by people such as the Athapaskans and Algonquins. In North Africa, Berbers and Tuaregs speak it too. The Gaelic language of the Celts and Basques is also derived from it. The Na Dene language is associated with the Native Americans who carry the Caucasian cluster of genes called Haplotype X. Many of these people worshipped Menhirs (phallic pillars) and Menatols (hole in a rock, representing the female and used in rebirthing ceremonies), similar to the early cultures of coastal Europe. Photos on left from America BC by David Fell. Right hand photo by Peter Marsh. 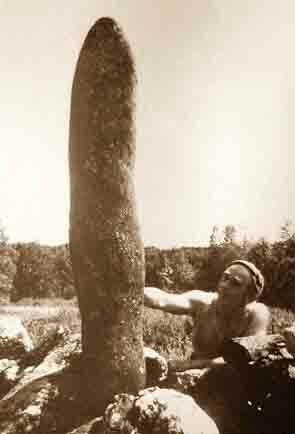 This same symbolism can be found in the phallic stone pounders and pounders with holes made by the; Salish, Haida, Hawaiians and Tahitians (see 'Canadian connection' page), whereas the protruding tongue and eye shape found in Haida and Polynesian carvings can be traced back to Asia. This unique blend of art styles can be found nowhere else in the world. It is not something that can be put down to parallel evolution, especially in isolation on some deserted Pacific Island. 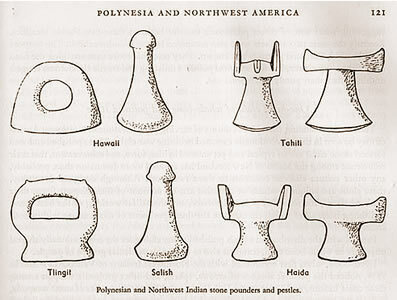 Therefore, the design of phallic stone pounders in association with a culture that has the protruding tongue motif gives us a strong indication that Polynesians are in some way related to the Nuutka, and Kwakuitl. Interestingly Chief Nuu brought the Austronesian language to Hawaii, but his name suggests a connection to the Na Dene speaking Nuu-tka. They live adjacent to the Kwakuitl on Vancouver Island, who Anthropologist Irving Goldman, author of "Ancient Polynesian Society" believed were the most similar culturally, to Polynesians. “The Kwakiutl share formal principles of rank, lineage, and kinship with Polynesians. They share with Polynesians a status system of graded hereditary ranking of individuals and of lineages; a social class system of chiefs ("nobles"), commoners, and slaves; concepts of primogeniture and seniority of descent lines; a concept of abstract supernatural powers as special attributes of chiefs; and a lineage system that leans toward patrealiny, but acknowledges the maternal lines as well. They have the same classificatory system of lineage membership that does not distinguish between maternal and paternal sides, or between siblings and cousins." Overall, the similarities between the Tlingit, Kwakuitl, Haida, and Polynesians are many. Physically it is very difficult to tell them apart, culturally they are the same, they have similar genes, artefacts, and art styles, even their legends show a connection. There is no other region on the Pacific Rim where a culture shares as many similarities with the Polynesians. The evidence is compelling, yet many scientists cannot bring themselves to accept that Polynesians separated from Melanesians in S.E. Asia 11,500years ago and moved north to Taiwan, leaving there 6,000 years ago to take the Kuroshio current across the North Pacific to Alaska, spending 3,800 years on the islands off the west coast of Canada before sailing to Hawaii 2,200 years ago. The notion that Hawaii was the homeland of Polynesians is a unanimous belief held by most Polynesians from as far away as New Zealand. Why should we doubt what they say, when genetic, archaeological and cultural evidence totally agrees with an arrival from this direction? According to research so far, it seems that Thor Heyerdahl's belief that the majority of Polynesians arrived from Canada is correct. You may have thought that all questions on the origins of the Polynesians have now been answered, but there is a twist to the story. We have established beyond reasonable doubt that Hawaii was the formative homeland of Polynesians. It was here that they chose to keep some traditions and cast off others, thereby reinventing Polynesian society as we know it today. Their priests retained the traditional robe color of yellow or orange and crescent crest headgear of their ancestors - seen also in Tibet. They created a kingdom based on family genealogies that went back 700 generations, and they invented a dance style that was designed to sexually excite, probably to encourage a rapid build-up of population. They even invented surfing. The Hawaiian archipelago was the perfect environment for developing their seamanship and navigational skills. Their catamaran boat design was clearly developed in response to the large surf conditions found in Hawaii, as catamarans do not broach in the surf like a conventional mono-hull. Something modern yacht designers have only recognized in the last 50 years. After a few hundred years had passed on these idyllic islands, the rapid population growth was beginning to put pressure on the islands resources, so the catamaran ‘Hokulea' went on a voyage of discovery and found a ‘distant land' (Tahiti). Further exploration resulted in the discovery of other islands in these southern Archipelagos. Names such as Rarotonga (Sun in the South) and Tonga Tapu (South forbidden) only make sense if named by people who came from the North, ie Hawaii. One particular island called Ra'iatea was named after the people already living there. The name means ‘Sun people white' and was noted by Captain Wallis, who visited the island in 1767, to have a high proportion of pale skinned people, many of which had red hair, living on it. Queens of Ra'iatea, Borabora and Huahine (from left at rear). Note the long ears of the Huahine queen. Ra'iatea was not the only island where pale skinned, red haired people lived. When European explorers first discovered Easter Island and Tahiti, there were many reports of white people with red hair amongst the native population. 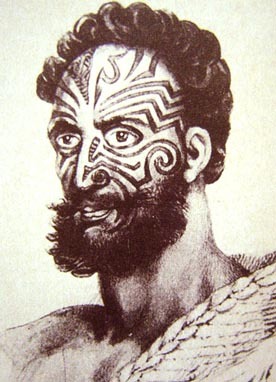 For example Mendana, who sailed through the Pacific in 1595, visited an island in the Tuamotus and reported that the chief had “a mass of red and rather curly hair, reaching half way down his back.” Captain Roggveen's visit to Easter Island in 1722, recorded that amongst the first natives to come aboard their ship was the chief who was “an entirely white man.” All the early visitors to Easter Island noted that some of the islanders were not only very fair and tall, but had soft, reddish hair, with greenish, blue eyes. On many islands in southern Polynesia, these people were often found to be holding positions of high rank, but as the years went by, less and less sightings were reported. From the early accounts by Captain Wallis, who voyaged to Tahiti twice, noted that the paler red heads in Tahiti were succumbing to disease brought by European ships more readily than the black haired people. This one fact alone indicates that the ancestry of Pacific Caucasians was not from Europe. 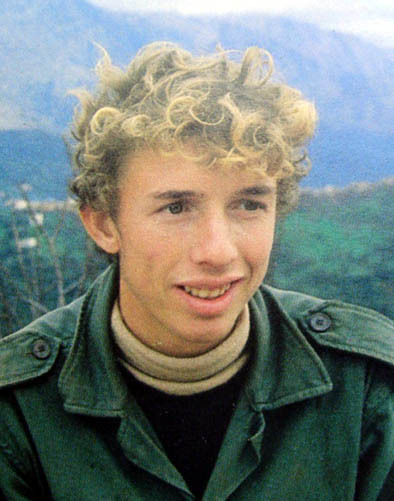 In 1972 Professor Jean Dausset conducted a study of the Caucasian blue/green eyed, red heads of Easter Island, who are in fact a significant part of the Polynesian story. He found them to have an ancient strain of Caucasian blood, which can also be found in the Basques of Spain, characterised by A29 and B12. 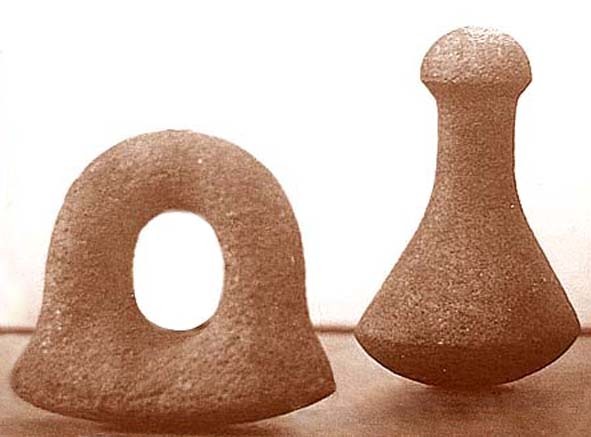 The analyses revealed that 39% of unrelated Basques and 37% of the Easter Islanders were carriers of the HLA gene B12. These were the highest and second highest proportions tested throughout the world. The figures for A29 were similar. The Easter Islanders, with 37%, had the highest proportion in the world, while the Basques were second with 24%. 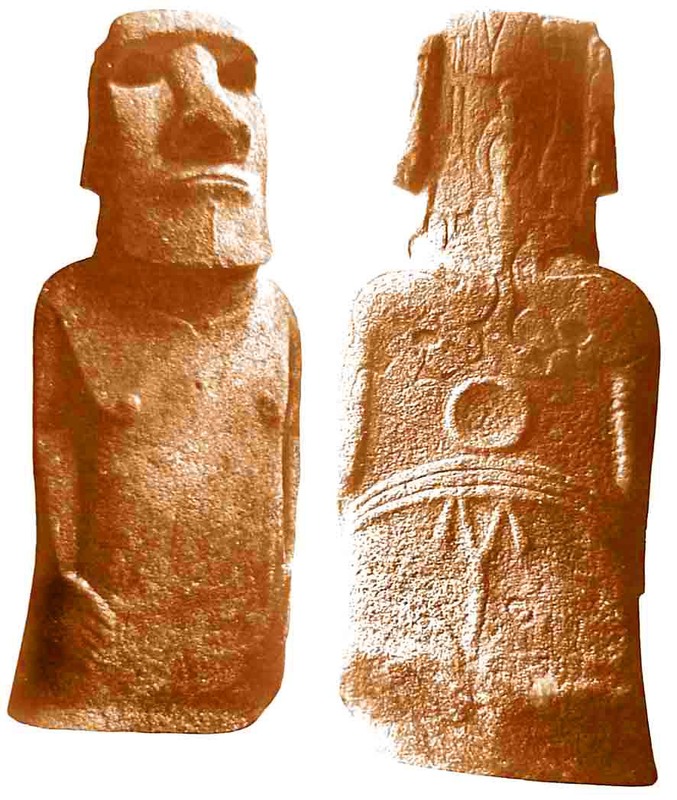 The most remarkable thing was; that the two genes were found as a haplotype (combined genetic markers) in 11% of Easter islanders and 7.9% of the Basques. No other people in the world had remotely comparable figures." In fact, from the above tests, the Easter Islanders appear to be of a more pure ancient Caucasian racial stock than the Basques! Although living on one of the most remote islands in the world undoubtedly had a part to play in this, it is highly likely that these people reflect the gene pool of Caucasians that once existed in America. 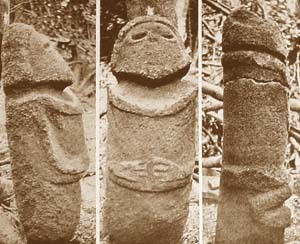 The following photos are from Robert Langdons book 'Lost Caravel Revisited' and show typical features of native Easter Islanders. 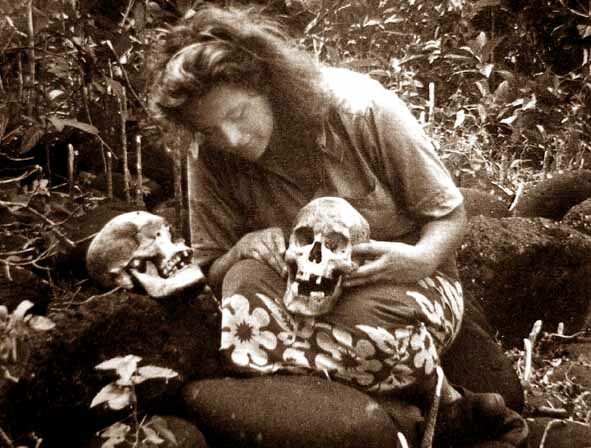 Sage Kamake-a-Ituragi Angata Maori Thor's wife Liv looking at the square jaw and narrow skulls in the Marqueses. Are these people the last remnants of an ancient Caucasian population that once lived in America? Their broad jaws, paleolithic Caucasian DNA and lack of resistance to Eurpoean disease semms to suggest that is so. These Islanders worshipped strange stone idols and Ra the sun God. They also practiced an ancient birdman religion, a form of which is still found amongst the floating reed bed people of the Indus. They made reed rafts and they had a strange writing system akin to the ancient Harappa script. They made Peruvian style interlocking stone walls, and they had circular burial tombs called Tullpa, similar to the Chullpa tombs of Peru, and they both used the knotted cord called Quipu for memorising information. The red haired Paracas mummies and numerous legends of Peru all indicate that red heads were once a significant part of the population in Peru. The brownish/red haired, green eyed, Araucano (Gold people) of Chile is one population that survived the onslaught of the Incas. 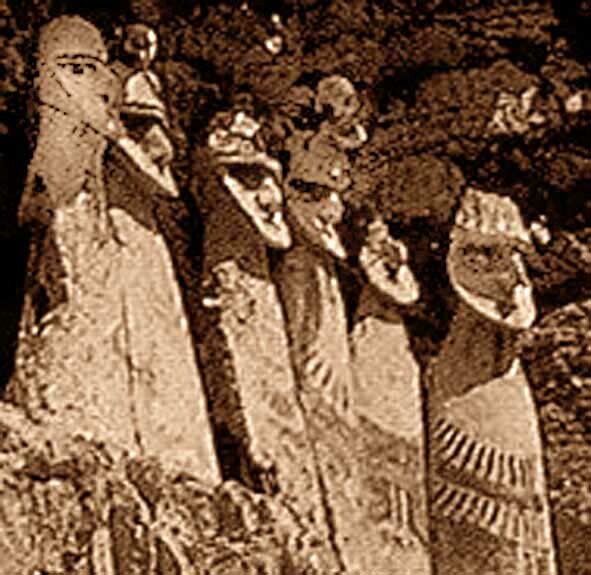 Events that unfolded in Peru that led to the exodus of red heads into the Pacific can be read in the ancient Rongo Rongo text of Easter Island which was successfully deciphered in 1892 by Dr A Carroll and describes the ancient history of Peru. It names the many tribes of Peru and their relationships with each other, their allies, their enemies and the wars fought that led up to the final exodus of the Puruha and Cha-Rapa people into the Pacific. His decipherment contains detailed information that would not have been available to him, unless he was reading it from an ancient source. Unfortunately, because this text did not say what the scientists wanted to hear, his valuable work and the Rongo Rongo text was ignored. Interestingly it mentions wars with people who arrived in ships from down the Pacific coast that caused the exodus of the Charapa people into the Pacific. These invaders were related to the Maya, and eventually became the Huari and the Incas. Ironicly these people were distantly related to Polynesians as their genes indicate that they too came from Taiwan 6,000 years ago. Then in a stroke of misguided genius, Robert Langdon in his book ‘The Lost Caravel Revisited' decided that these red head genes must have been from the San Lesmes, shipwrecked in 1526. He found the island where it was wrecked and the chief took him to the site where four cannons were observed. The chief informed him that the natives had killed and eaten them, not one survived. 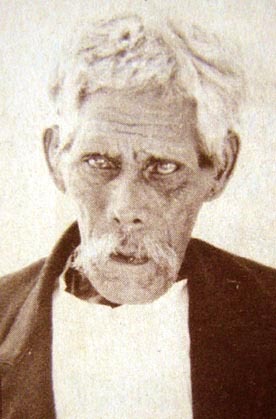 This did not deter Langdon's investigations, and he proceeded to find not one skerrick of Spanish culture or language amongst the Polynesians. Easter Island was 1,000km upwind and against the current from the shipwreck site. He made no explanation why the shipwrecked sailors chose Easter Island or why they dropped their Catholic faith in favor of an ancient sun worshipping culture, why they decided to elongate their ears or how they were able to commission the natives to make red haired stone idols in their likeness 500 years before they even arrived on the island. Despite this, he continued to assert that Caucasian features in the Pacific were from a 16th century wreck and he wrote a book. Scientists nodded with vacant approval at Langdons lame and unsubstantiated claims. One scientist went on to suggest that the ancient Rongo Rongo script was merely idle doodling by natives attempting to mimic Spanish writing. Another misguided scientist is now claiming Portuguese credit for bringing Kumera (sweet potato) to Polynesia from South America, despite the detailed Polynesian legends and ancient carvings depicting an ancestral Kumera god. Another concluded that the skulls in the Easter Island burial chambers (Tulllpa) were put there to encourage the chickens, now living in the ruins to lay bigger eggs! The most recent scientific article verging on the ridiculous is suggesting that there were no obsidian traders in the Pacific, but it merely arrived on islands embedded in pumice stone. This would have entailed an upcurrent drift from the parent volcano. From the size of some obsidian axes, the core from which it was struck would have been over 20cm diameter. 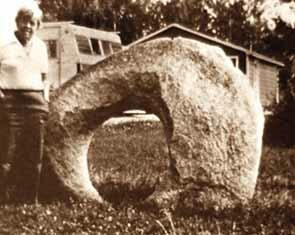 This would suggest that the size of pumice required to float such a rock would have to be almost 1metre in diameter! Personally I have never seen pumice greater than 200mm dia - a rare find at that! These narrow-minded expositions are tainted with so much Euro-centricity and ignorance that it makes one cringe. Getting back to a more productive line of thinking, Thor Heyerdahl believed the Sun worshipping, long Eared maritime traders of the Maldives had something to do with the Easter Islanders, He had noticed that the sun worshipping Harappa civilization was using money cowries obtained from the Maldives for currency. He also noticed that the ancient Harappa civilization was the only culture in the world to use a script similar to the one used by the Cha-Rapa people of Easter Island. He even found that the Cha-Rapa people of Charcha Poya in Peru made carvings extremely similar in character to the Easter Island statues. This was obviously an area that required further investigation. In order to try to identify who the ancient people of Harappa were, the ancient Indian history of the Rig Veda has a wealth of information that is yet to be explored by westerners. 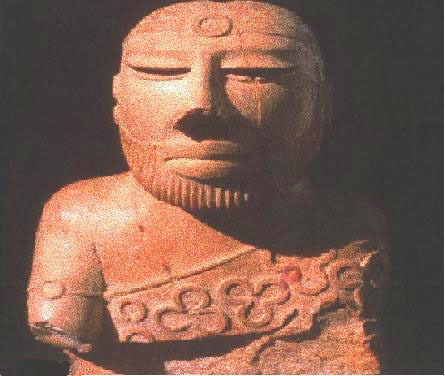 It says that the people of Harappa were pale skinned people who did not follow the ancient Hindu religion. They came from a sunken land to the south – identified as the Maldives before sea levels rose. The Rig Veda indicates they were more closely related to the Egyptians. Some of the names of the tribes mentioned in the Rig Veda, relating to the Harappa culture were the Kurus and Purus and people of Karachi. Interestingly all these names re-appear with slight variations in Peru. 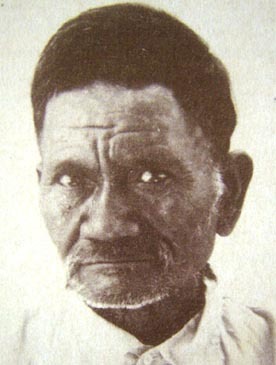 The Puruha, Urus, Karajia, Charcha-Poya and Cha-Rapa people of Peru, according to Peruvian history were all tall with red or pale curly hair and beards. The Urus still live on floating reed beds on Lake Titicaca - just as their ancestors did on the Tigris River, near the city of Ur. It is also no coincidence that the Inca festival Inta Raymi, which celebrates the 'return of the Sun' or winter solstice festival, has many parallels with Rama the Sun God of India and the festival of Diwali - the festival of light that celebrates the return of Lord Rama. 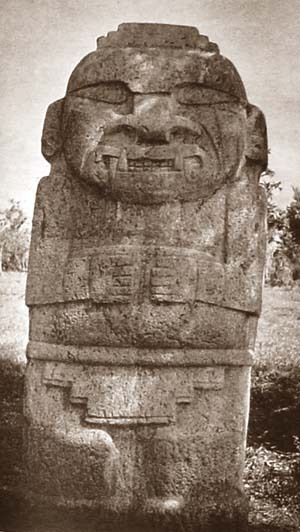 The Peruvian tall white ancestral figure Viracocha (Thunder lake) has many qualities of the Indian ancestral figure of Vajrapani (Thunder water). both carry thunderbolts, both are asociated with sun worship, both turn hate into wisdom and encourage tolerance and peace. Legends of 'The Shining Ones', survivors of a forgotten civilization also seem to relate to a race of tall long skulled bearded red/blonde haired people to places as far afield as Nevada, Ireland, Australia, New Guinea and Kurdistan. 'Watchers' often spoken of in ancient texts? 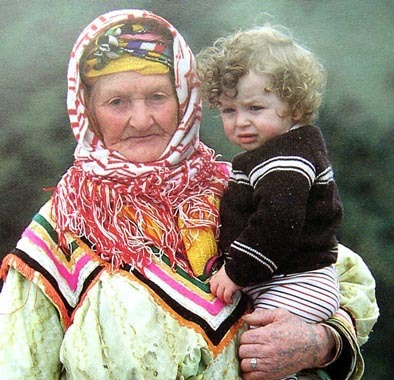 To try and understand who these ancient Caucasians were, geneticist E. Gomez-Casado found that Basque genes of Spain were part of an ancient Caucasian gene pool that included the blonde haired Berbers of Morrocco, the Tuareg, Egyptians, Minoans, Palestinians, Israelis, Lebanese, Kurds, Turks and as far East as Iran. The racial purity of these people 3,500 years ago would obviously have been much greater than it is today. This makes the possibility that people with Berber genes came from Harappa not so outrageous after all. Interestingly the red haired Phoenicians and Celts, two great seafaring nations that commanded the Atlantic Ocean were also from this gene pool. Haplotype X in North America is also part of this gene pool. Interestingly genetics shows this branch of Europeans left Europe 13,000 years ago, some say they lived in the Sahara, but then why are all their descendants such good mariners? Genetics shows the Celtic branch of red heads returned to Europe after a complete absence of 7,000 years. They most likely arrived in Europe via the Gulf Stream from either North America or the now submerged Grand Bahama Banks where numerous floors remain to be discovered under the shifting sands - the only evidence of this once great flourishing sea port that was wiped out by a Tsunami. Mayan history confirms that 'The Age of the Red heads' ended about 6,000 years ago. Although Phoenicians and Celts appear to show a connection to an ancient Caucasian population in America and even share the same Mayan god of war - Woden or Votan - they do not appear to have spread across the Pacific. HLA A11 in Celts and Basques is associated with B35 and B52, but is not found in the Pacific, indicating that Celts and Basques do not appear to be associated with any relic Caucasian populations in the Pacific within the last 2,000 years, although their presence prior to this time is confirmed by Phoenician and Egyptian writing from the Bronze Age and possibly earlier, which has been found in places such as Pitcairn Island, Tonga, New Zealand and Australia. There is no archaeological evidence to prove that significant populations of these people were still living in the Pacific when Polynesians arrived, although the Trireme spike as seen on Phoenician ships has been adopted in Samoan canoe design. Further genetic testing may prove that people from certain islands such as Ra'iavae were from these earlier populations, but this is yet to be determined. Raivavae stone carvings compared to similar carvings in St Augustin, Columbia. 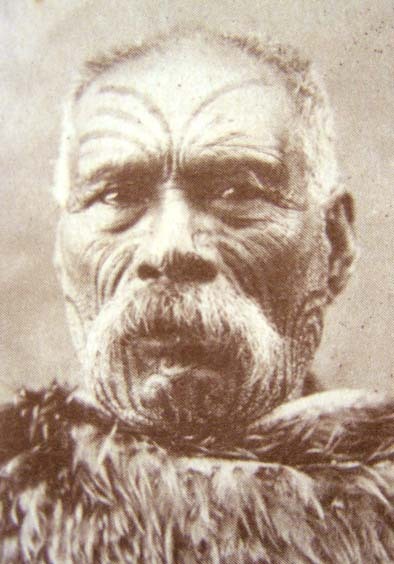 Maori tradition tells us that their ancestors in times long passed away, 161 generations ago - (approximately 1500B.C. - a time of turmoil in India), migrated from a hot country named Irihia (Vrihia is an ancient name for India). The cause of exodus, from this original homeland was a disastrous war with a dark-skinned folk, in which great numbers were slain. The principle food supply on the voyage was the sapless small seed named ari - the Indian word for rice. They crossed the oceans (Indian Ocean and Atlantic), to sojourn in two lands, named Tawhiti-roa (distant long land – Central America) and Tawhiti-nui (distant big land - Peru - no voyage between these two lands), after which they entered the isles of Polynesia. Is it mere coincidence that the Maori mention a departure from India at the same time when the Harappa civilization was destroyed? Where did the name Maori come from? 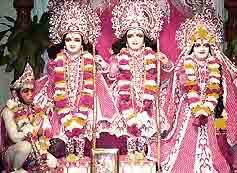 According to the Rig Veda, the Maurya dynasties of India began in 1500BC. Is this, another mere coincidence? This legend mentions a war with a dark skinned folk (the Hindu Dravidians). This can only mean the Maori ancestors were pale skinned. The Urukehu and Charapa people of Peru and the Pacific were all red heads. ‘They crossed the oceans', means they crossed more than one ocean. An epic voyage such as this must have been done with the prevailing wind via a known trade route. Assuming their destination was Central America, their route would have been in summer around ‘The Cape of Good Hope' and across the Atlantic utilizing the Southern Equatorial current, and S.E. Tradewinds, making landfall along the northern coast of South America. Interestingly Bronze Age Indian genes are common amongst Venezuelans. According to the Rig Veda, when Harappa was destroyed, many people sailed to Tamil Nadu where a similar culture existed. Others chose to leave India completely and go in search of a new homeland. This map shows the migration routes of Refugees from Harappa - as described in the above legend. The yellow, ochre and red trail is the route taken by the Urukehu or Charapa people. The similqarity between Harappa script, Cuna script of Panama and the Rongo Rongo tablets of Rapa Nui also add weight to this migration route. Tribal names in Peru such as Charapa, Urus, Karajia and Puruha all share their names with cities/tribal groups of the Indus/Persian Gulf area.1500 - 1200BC. Indian Genes in Venezuela verifies that contact from the Western Indian Ocean did occur. Another group may have travelled East and entered Melanesia to become known as the Lapita people. There is another possibility for the arrival of this red haired urn burial culture in Melanesia. That is, they followed the same yellow trail as above, but crossed the ithmus of Panama and continued on, and in a travel weary state were sieved out of the Pacific Equatorial current by the Bismark archepelago. Interestingly, the 15,000year old Caucasian genes commonly known as Haplotype X3 of America is not from Europe, but from the Middle East, suggesting that seafaring between the "Old World" and America has gone on for a very long time. the sun symbol on forehead and arm. 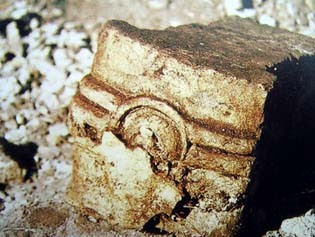 Sun symbol from the Maldives below also has three stripes (repeated in the Moai belt). 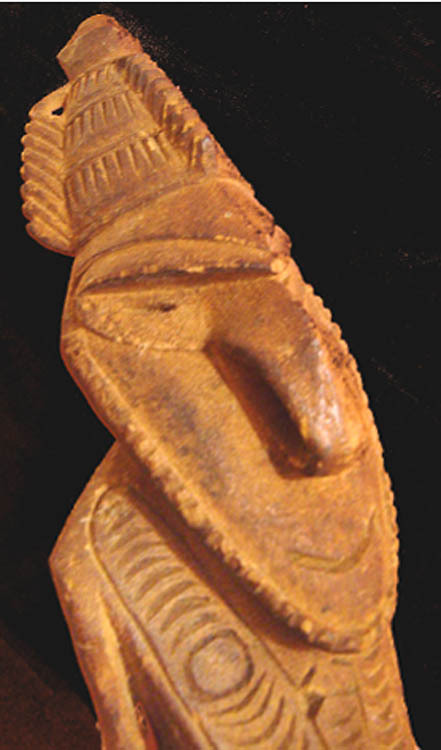 bearded, big nosed Tolai carving from Bismark Archipelago - the home of blonde and red haired people of Melanesia and the dispersal point of Lapita pottery beginning 1,500BC. Are these signs of a global seafaring culture that influenced many cultures? The Iban long Ears and Caucasian Punan of Borneo who use the same solar design as seen on this figure's shoulder may also have been part of this global economy that once traded in Obsidian. 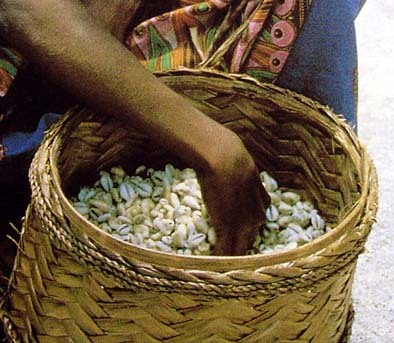 Money cowries, an old form of currency used by the ancient sea traders of the Maldives, Harappa and Tamil Nadu as well as the Lapita people. Burial urns Tamil Nadu and Lapita burial urn with skull, Vanuatu - from Time Magazine August 2005. In July 2006, Lisa Matissoo-Smith, a geneticist determined that DNA from these skeletons was unrelated to Polynesian DNA. Last year Professor Matthew Spriggs headed an archaeological dig in Vanuatu on a 3,500year old Lapita pottery site and found Burial Urns, topped with model birds. Bird images are also a characteristic of Harappan burial urns. The chronology of the Vanuatu site hints that a direct voyage from Harappa or Tamil Nadu was the source of these people. In other words, we are looking at an exodus from India as the Dravidians pushed out the paler skinned Veda. Some took the route east, whilst others went west. The ones who went east traveled to Borneo, met up with the Obsidian traders and continued on, into the heart of Melanesia and beyond. Their genes slowly disappeared into the Melanesian population. Genetic relics are still visible in the blonde-haired Tolai and freckled red-haired people of Missima Island. These Melanesians carry HLA A11, B40. The only other place in the world where HLA A11 and B40 are found together is amongst the people of the Indus region, the homeland of Harappa. Archaeological digs throughout the Pacific suggest these Veda mariners colonized areas as far eastward as Samoa and Tonga, including Fiji, but disappeared from the archaeological record 800 years before Polynesians entered the Pacific. 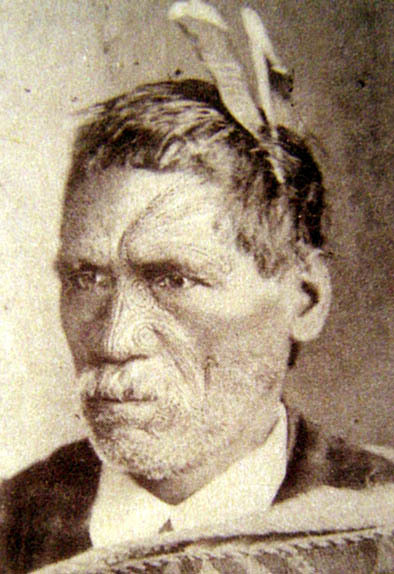 The history of the group who went west is recorded in Maori history. They lived in Central America initially where they combined with Austronesians and Africans to form the Olmec civilization. Their move to South America contributed to the civilizations of Peru. After spending a total of 1,800 years in America, they entered the Pacific about 300AD to become part of Polynesian Society. HLA A11 in Melanesia and Polynesia is undoubtedly one of the few relics left by these ancient mariners. The variations found between the HLA A11 clusters in Melanesia and Polynesia is a reflection of the different routes they took to enter the Pacific. Due to their isolation in America and the absence of new influences, they kept their old world religions and writing system which had long been superseded in the old world. The re-emergence of these ancient ways on Easter Island is a clear indication of their origins from Harappa. 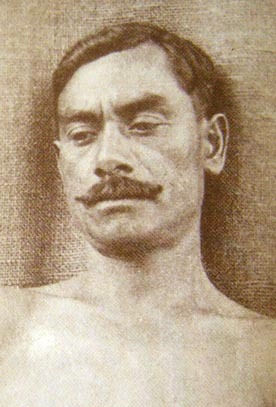 From reports of Red heads by early explorers of the Pacific such as Captain Wallis, along with evidence of Peruvian stone masonry skills, it seems that the red heads from Peru colonized many islands in central Polynesia including Tahiti, Ra'iatea, Hua'hine, Rapa'iti Ra'ivavae and much of the Tuamotu archipelago. When Polynesians arrived from the north, the two cultures met and assimilated. They learnt new skills and wisdom from each other enriching Polynesian society as a whole. The Peruvian pale skinned red heads maintained positions of rank and control of many islands, despite their dwindling numbers, which was noticed by the early explorers such as Captain Wallis. Why was this so? Genetics appears to be the culprit. A significant trait of ancient Caucasian genes is that they are Rhesus negative, and are genetically mismatched to the Polynesians. Mothers and second born babies would often die if the father was not also Rhesus negative. Red hair and blue eyes are also recessive genes and as a result, they slowly disappeared into the brown-eyed black haired population. 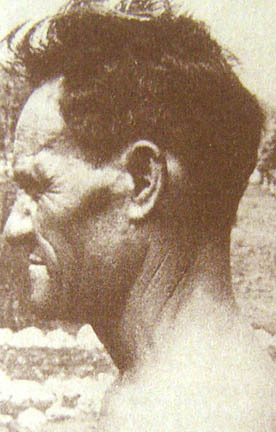 Despite this, relic Caucasian genes are still found amongst the chiefly families of Polynesia, especially in Raiatea, Huahine, New Zealand and Easter Island, sometimes with red hair, but with unmistakable Caucasian features, which are still visible after 1,500 years of racial mixing with the Hawaiians. 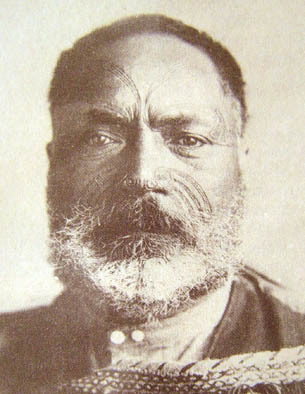 The following photos of Maori chiefs from The Urewera, Waikato and Auckland areas. The photos are from Robert Langdons book 'The lost Caravel revisited'. 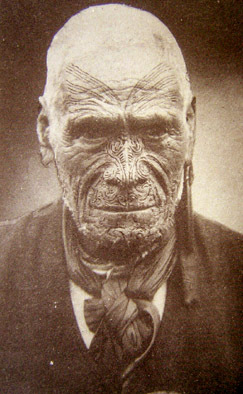 The Caucasian features with unusually broad jaws clearly shows that not all Polynesian DNA came from Taiwan, nevertheless the tattooing was a skill learned from the East Asians which I believe came via Hawaii, illustrating how these two cultures blended together, enriching the resultant culture. The Easter Island story was a little different. When the Cha-Rapa made their home on Easter Island, they named it ‘Te Pito O Te Kainga' which means ‘The End of Eating' which possibly is indicative of the poor fishing off the islands, and ‘Te Pito O Te Whenua', which means ‘The End of Land'. Other people have interpreted the name to mean “Naval of the World” the naval being where the umbilical cord is severed from ones mother, which is another way to describe their ‘aloneness'. They must have felt that they were at the end of the road, the last surviving members of their once great civilization of Ha-Rapa. They had survived the warfare in Peru that had decimated their numbers and were now cast out on a tiny speck of land thousands of miles from anywhere. They probably thought they were safe in isolation. Then the Hawaiians arrived. 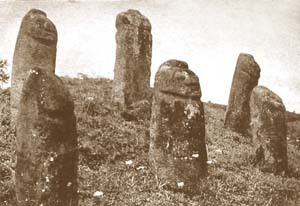 The island name was changed to Rapa Nui (big Rapa), as a form of respect for the Cha-Rapa people. The Cha-Rapa knew their bid for survival was on again, but their intuition was telling them it was all over and time to put up the statues to say “This is who we were.” They erected the Moai pointing east, back the way they came, as if yearning for their past. According to Easter Island history, the red heads or 'Long Ears' established a class society and used the Hawaiians as their workers. They cohabited on the island for over 500 years, but limited intermarriage thus creating a visible racial division, which eventually resulted in their undoing. Overpopulation and a particularly dry year led to a famine. The Long Ears ordered the Hawaiians to clear more land for farming - and they refused. This resulted in a civil war that saw the Long Ears fall from power, and they were slaughtered, all except one male. Thor Heyerdahl in his book Aku Aku describes in detail this ancient history of Easter Island. 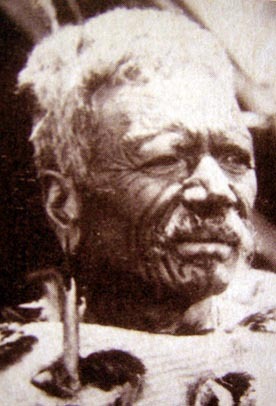 The surviving red heads on Easter Island are descended from this one man, Ororoina. Extinction of this lineage came very close, but now because of his survival, geneticists can now piece together this amazing story. Due to Thors untiring work and interest in Easter Island, he was made an honorary chief of the island. At least some people out there already recognised the importance of his work. Thor died in 2002, a man with many ideas the world was not ready to accept. 50 years ago and even today many people are still struggling with this new understanding of human prehistory. Unfortunately Thor is not around to see his work finally recognized, as is the case with many famous people in history who challenge previously held beliefs. Today with genetics, the truth is staring us in the face, yet some still refuse to see this different picture of our past. Acceptance of a new level of understanding takes time. For the sake of Thor's family, let us hope that the time is near. Finally on the 6 June 2011, a NewScientist article finally admits that Thor Heyerdahl was right. There was a genetic/cultural input from Peru to Easter Island. 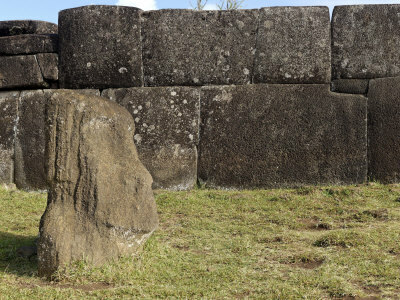 "South Americans helped colonise Easter Island centuries before Europeans reached it. Clear genetic evidence has, for the first time, given support to elements of this controversial theory showing that while the remote island was mostly colonised from the west, there was also some influx of people from the Americas. Genetics, archaeology and linguistics all show that as a whole, Polynesia was colonised from Asia, probably from around Taiwan. But the Norwegian adventurer Thor Heyerdahl thought otherwise. 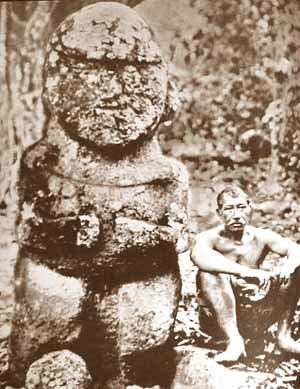 In the mid-20th century, he claimed that the famous Easter Island statues were similar to those at Tiahuanaco at Lake Titicaca in Bolivia, so people from South America must have travelled west across the Pacific to Polynesia. His famous Kon-Tiki expedition, in which he sailed a balsa wood raft from Peru to the Tuamotu islands of French Polynesia, showed that the trip could have been made. Now Erik Thorsby of the University of Oslo in Norway has found clear evidence to support elements of Heyerdahl's hypothesis. In 1971 and 2008 he collected blood samples from Easter Islanders whose ancestors had not interbred with Europeans and other visitors to the island. Thorsby looked at the HLA genes, which vary greatly from person to person. Most of the islanders' HLA genes were Polynesian, but a few of them also carried HLA genes only previously found in Native American populations. Genetic shuffling Because most of Thorsby's volunteers came from one extended family, he was able to work out when the HLA genes entered their lineage. "The family tree of several of the people who had these Indian genes are traced to Pakomio Maori, who was born on the island in 1816. These Native American genes can therefore not be a result of the slave raids that devastated Polynesia in the mid 1860's," said Thorsby. But the genes may have been around for longer than that. Thorsby found that in some cases the Polynesian and American HLA genes were shuffled together, the result of a process known "recombination". This is rare in HLA genes, meaning the American genes would need to be around for a certain amount of time for it to happen. Thorsby can't put a precise date on it, but says it is likely that Americans reached Easter Island before it was "discovered" by Europeans in 1722." Vinapu wall, dated at ~300AD and similar in style to cut stone walls in Peru.